Our team of interior house painters in Mesa, AZ average more than a decade of experience and we pride ourselves on making sure you will love the new paint job. Interior painting will give your home that new paint WOW factor with a makeover that will have a big impact to your home's presence and value. See the 7 steps below. Click here to get an idea of the cost. ​We can paint it all one color, we can paint each room a different color, or you can bring that POP out like the blue and green room shown here and by mixing and matching throughout the house. Isn't it amazing what a fresh coat of paint can do to your home or business? So, pick out the colors, then just sit back and relax and watch the paint dry while we spruce things up for you. What steps are involved in painting the interior? ﻿We want to be known as the best house painters in Mesa and would like to add your home to our portfolio of success stories. ​We would be happy to paint a pattern you love like the pink and purple and green below. Mesa Painting Pros are experienced and you can trust us with the appearance of your home's interior paint job. When we are done, your walls, hallways, ceiling, baseboard trim, door frames and window trim will look amazing! No, not that kind of mood! Well, maybe. But, we do know the right paint job can transform your home or business from bland to bright and beautiful. This is one area where you do not want to cut corners. 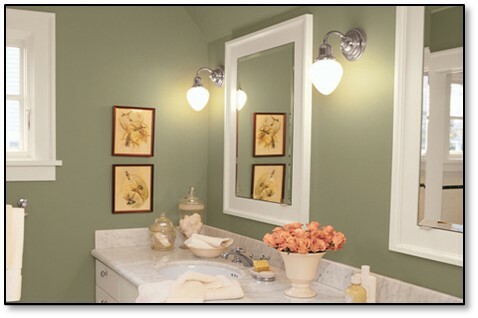 Choosing the right mix of colors for the walls and trim can truly reflect your personality. It sends a message to your customers that you care about being professional and clean and neat. Research shows that paint can actually set the tone or mood of those in the room. 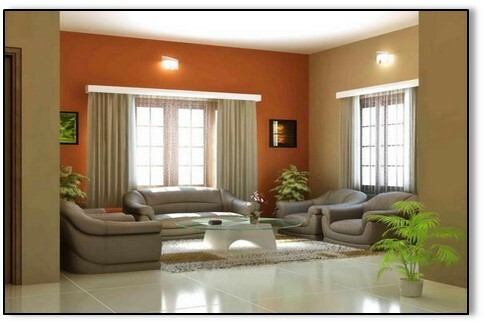 The interior paint job in your home makes a statement. What is yours saying?